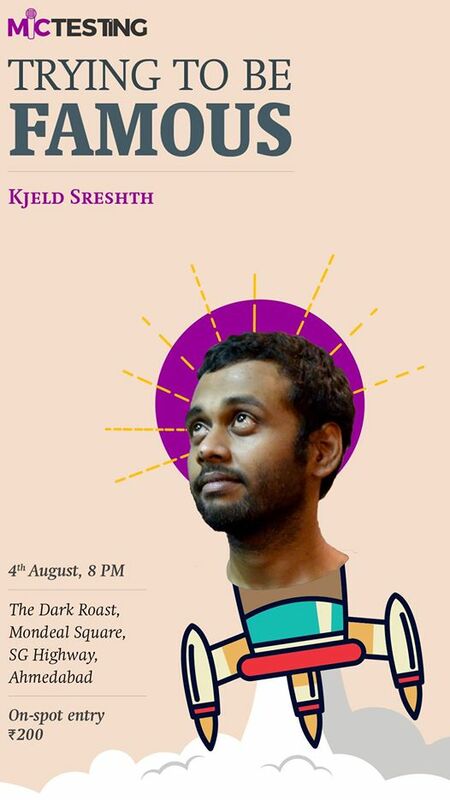 Kjeld Sreshth is a comedian and he has a silent ‘j’ in his name.This is not a joke. For the past 3 years, he has been trying to be famous, but with little success. Now he is starting to believe that the universe is purposely withholding fame from him, because it knows he wants it only to fulfill his own shallow desires. This is not a joke. His biggest problem is that he can’t tell people he’s going to change their lives with his jokes, without telling them he’s going to change their lives with his jokes, because he knows he has no life changing jokes. This is not a joke. The show will have an opening act by the equally unknown Rag Brahmbhatt, who is funny, good-looking but hollow on the inside. This is not a joke.